It’s taken me a long time to gather my thoughts and write this article. 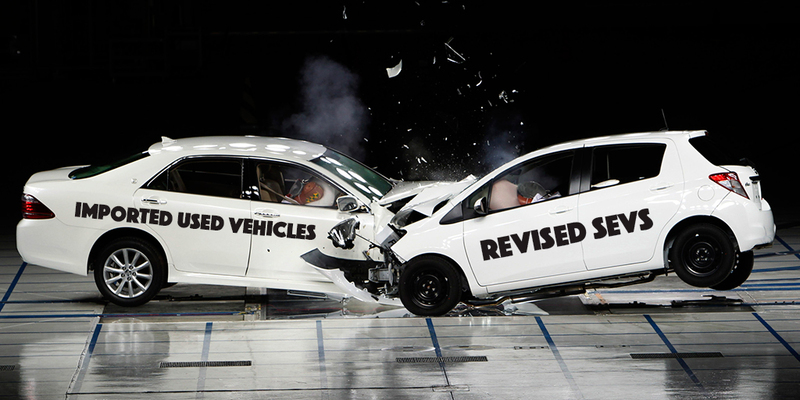 I’ve tried to give myself as much time as possible to digest what the Department of Infrastructure considers to be a suitable model for the future of imported used vehicles in Australia after 2018; to paint the best light on it. But alas, it has come down to this: after three years, two independent government inquiries, countless meetings with stakeholders and submissions from industry bodies and private individuals alike, the Department of Infrastructure has released a set of proposed SEVS criteria thresholds that is, quite frankly, an insult to those in the industry who have worked so hard with the government to try and reach an amicable solution prior to this point. As someone who has spent more than $10,000 of my own money on flights around the country for meetings with government ministers and bureaucrats over the last three years, I’m finding it difficult to contain my intense disappointment and anger over the proposed SEVS threshold changes. For the first time in many many years, I’ve found myself contingency planning, looking around for jobs outside the industry I’ve grown to love and am so passionate about. But I’m one of the lucky ones – I’ve spoken to large import dealers who have invested countless millions of dollars in their businesses, only to find that they not only face the prospect of losing their livelihoods, their companies will also become worthless. Many have already held off on renewing property leases until things become clearer. The general mood is one of abject despondency. Way back in 2014 when importers first began floating the idea of a larger-scale parallel import scheme with the federal government (as recommended by two separate government reviews), we were told quite clearly not to rattle the cage too hard because it had little support within parliament, but to instead concentrate our efforts on opening up SEVS to allow more vehicles in. A broader, fairer, more diverse SEVS – sounds great, right? The very early draft of potential changes (which was a ‘for your eyes only’ deal, and not taken out of the minister’s office) looked fantastic, and addressed 8 out of the 10 proposed changes that I had originally recommended when the MVSA review was first announced. But as always, the devil was in the detail, which came once the department got its hands on the draft: as one workshop owner described it to me, it’s like we are cattle, being led through the yards to promised green pastures, only to find we’re being sent to the slaughter house. Before we begin analyzing the proposed thresholds, there’s an important statistic you must keep in the back of your mind. If you’ve been into any import yard recently, you will have noticed that they’re not the Skyline/Supra/Evo nirvanas they once were. These days, you’re more likely to find them full of people movers, because, thanks to a loophole in the legislation, the government was unable to prevent dealers importing the vehicles as camper vans, then converting them back to people movers after registration. Having said this, it was not illegal to do so, and many businesses have found a thriving market of larger families who can’t afford a new SUV or people mover. In short, most import businesses wouldn’t have survived this long without people movers. So it should come as no surprise to discover that, out of the roughly 7,500 vehicles complied by RAWS through SEVS last year, 72% of them were camper vans. Of course, some of those may actually have gone on to become camper vans, but let’s assume the majority were people movers. One of the first things that was announced about the revised scheme was that camper vans would be removed all together. This puts a number of RAWs, namely those who specialise in actually building camper vans (particularly for back-packer hire companies like Wicked and Jucy), completely out of business. Dozens of jobs in secondary manufacturing will be lost, right at a time when we, as a nation, can least afford it. And for the rest of the RAWs, the loss of people movers therefore means a 72% drop in the number of vehicles being complied and sold in Australia through their businesses. It doesn’t take a degree in business studies to understand that a 72% cut in vehicle numbers will result in the vast majority of the 140 active RAWs closing their doors, with job losses numbered in the hundreds once external service providers (customs brokers, transport companies etc) are factored in. Given that we’d originally been promised a rosier future via an expanded SEVS, the new scheme would therefore need to at least cover the missing 72% and then add more volume into the mix. Aside from camper vans, let’s analyse what else has gone missing in the proposed changes. GONE: Make not sold in Australia. Under current regulations, if the make of vehicle (ie Daihatsu or Vauxhall) is not sold in Australia, any model is considered eligible without having to meet SEVS criteria. Under the new scheme, these vehicles must now meet SEVS criteria, which rules out a number of potential models if any makes decide to leave Australia later on. GONE: Model not sold in same vehicle category. Under current regulations, if the manufacturer chooses not to sell any cars in a certain category (ie Nissan doesn’t bring in commercial vehicles) through official channels, any model that fits that category can be imported (such as the Nissan NV350 van). Now, these vehicles must also meet SEVS criteria, which effectively knocks all of them out. GONE: Single cab 4WD utes. Currently, single cab utes are eligible for import into Australia if they are not sold locally by the manufacturer. 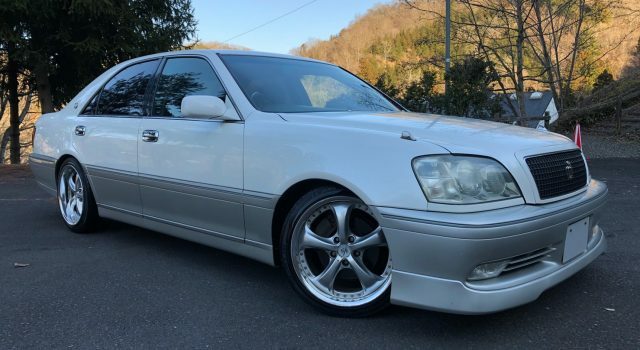 Because Aussies love our utes, there aren’t a heap that come in under this provision (as they’re sold new), but it rules out any kei utes from Japan, for example. GONE: Appearance. This criterion covers cars with an unusual shape or silhouette. Any convertible version of vehicles sold in Australia (such as the S15 Silvia) is eligible through Appearance, as are unusually shaped vehicles such as the Nissan Cube. They will no longer be eligible under the new rules. GONE: Unusual design features. This is for vehicles that have features not widely available on the Australian market. 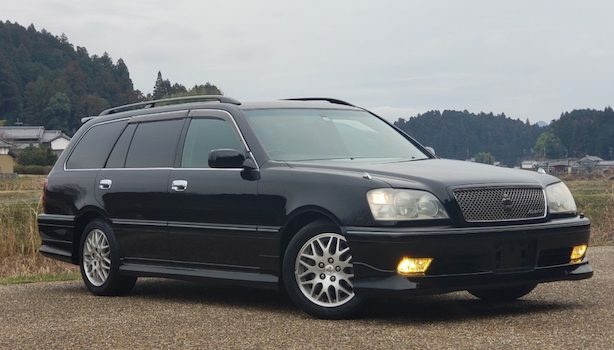 The late model Nissan Elgrand is eligible as a people mover but only if it has the birds eye view camera system, the Mitsubishi Delica has a flat floor design, the Toyota iQ has rear airbags. There are many others. All will disappear under the new criteria. GONE: Vehicle featured in specialist magazines in ‘as manufactured’ condition. Unlike the other missing criteria, this is a good thing. This criterion made sense back in the day when the old legislation was written, but with the world moving away from print to online features, dropping it all together was the most logical choice. As you can see, the losses here of at least 72% (when reading them in isolation at least) would result in a complete collapse of the industry. In Part 2, I outline the concessions being offered and their associated thresholds that will supposedly allow more volume back in. Spoiler alert: it doesn’t come close to covering the numbers we’re losing courtesy of the changes above, let alone growing the sector. You can also find out what you can do to help our cause fighting for a better deal for businesses in the imported used vehicle industry, and for car enthusiasts.